Don’t think for a second that men have it easier. 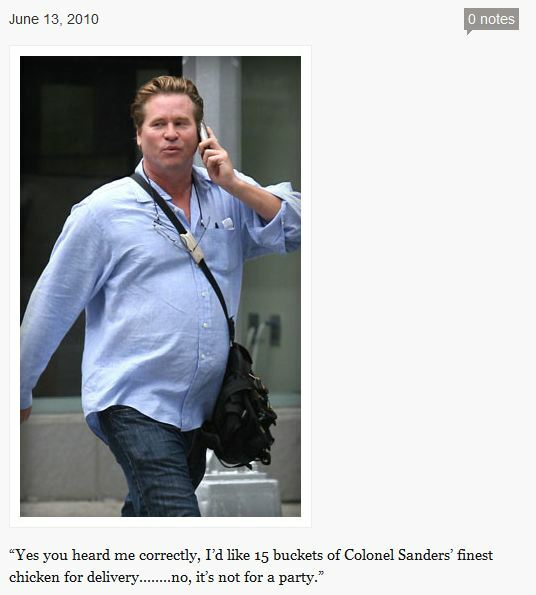 Val Kilmer, who is a skilful actor, is having a hard time getting studios to get past his paunch. As if that weren’t bad enough, someone actually created a Tumblr blog just to mock his weight gain, complete with tasteless photos and acerbic captions. Of course, this blog might have never existed if mainstream media outlets like Daily Mail and the New York Daily didn’t ensure that we see his slight beer gut (I’ve seen bigger) as anything other than slovenly and abominable.